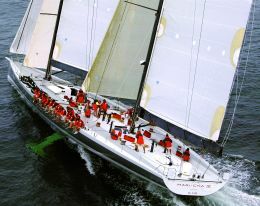 The "gigantism" that has pervaded shipyard production in recent years - involving both sailing and motor yachts - has certainly contributed to bringing together two architectonic typologies built for different purposes, and undoubtedly enjoying different relationships with the sea, but always united by one single principle: "to go sailing". 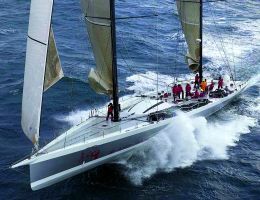 We may observe how, setting out on parallel tracks, apparently never overlapping or intersecting, in some cases motor and sailing yachts have given in to "temptations" that represented one or more solutions belonging to the other side. 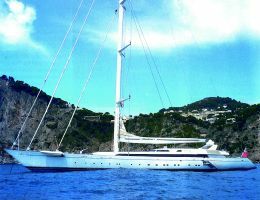 This to such an extent that we've lately started to see sailboats with very high superstructures - one or more decks - derived from motoryachts, and certain big motor vessels with straight stem bows, cleanness of lines and the essentiality of decks proper to sailing yachts. But where do they come from, these impulses towards "intermingling"? Firstly we need to analyse the differences between the ways of designing sailing and motor vessels, which are obviously determined by the very nature of their propulsion. Which in turn conditions choices concerning building materials, interiors and of course distribution of weights and masses, including the vertical development of the superstructures. 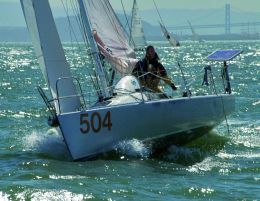 In fact it shouldn't be forgotten how weight and transversal stability remain two performance-limiting factors in sailboats and must be kept strictly under control in the design phase. Contrarily, the recent development of increasingly compact and powerful propulsion systems has made these aspects less important in the motoryacht sector, permitting greater superstructure height and weights. 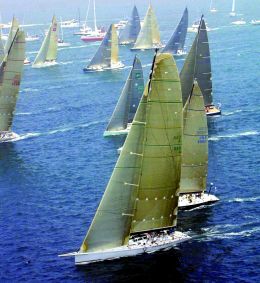 Over and above these factors, however, there is another of primary importance: the different approaches to designing a sailboat or motoryacht. In the latter case, and all the more so if it is a superyacht, the design approach is of an integrated type: the end product is the sum of a series of specialised coordinated interventions: hull design, exterior design, interior design, engineering etc. An operation of this kind has advantages in terms of end product quality. But at the same time there is a tendency to achieve determined qualitative, functional and performance targets imposed by the market. This has resulted in a standardisation of the superyacht product that considerably limits the space in which the designer can move with view to "personalising" the yacht through interventions that model the wholeness of the design, from keel to superstructures. 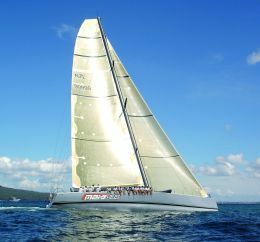 As for sailing yachts, the design approach is traditionally single source: meaning that it's handled by an individual designer whose know-how includes all the interdisciplinary knowledge required for "moulding" the vessel. Precisely as a result of this global approach to the sailing yacht product, the designer's distinctive hallmark generates forms and volumes born of a unique creative moment: more essential, organic and already integrated. In other words, while the motoryacht design process is an assembly of different contributions, that of the sailing yacht is a single creative idea. So the resulting products, sailing and motor yachts, appear to belong to two inevitably distant "species". As mentioned at the beginning of the article, this doesn't always correspond to reality, especially when size and degree of exclusiveness reach extreme proportions. With sailing boats, the greater the length the greater the complexity of the product; and the engineering part in particular assumes considerable proportions of complexity and breadth. This results in the first intermingling, upstream of the product, and precludes the design being handled by a "solo" designer. But that's not all: when a vessel's profile is elongated, the image loses "substance". It is considerably lightened and a superstructure must be designed to bring the hull into proportion with the soaring sail plan. Moreover, the introduction of upper decks (deckhouse and/or even a fly-bridge) is widely requested by owners who want the pleasure of sailing to include all the typical comforts of a big yacht. 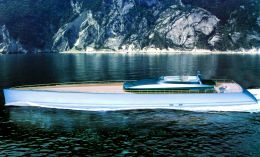 The resulting design operation is nonetheless derived from a modus operandi typical of motoryachts. A magnificent superstructure is "planted" on the deck, but it is unlikely to be well integrated with the size and proportions of the hull. Obviously this problem doesn't exist with big racers where we still find the stylistic features of the archetypal sailing boat: substantially, when function and performance are asserted in the content, the form does not vary. The step from a small boat to a megayacht is simply a matter of scaling up. An inverse process is becoming increasingly widespread in the big motoryacht field. When the search for the exclusive, the sensational and magnificent gets the upper hand over functionality, optimisation of space, range and performance, then the prospective owner and/or the yard engage a renowned designer to handle the whole project. He will interpret the theme in a single creative act, exactly as in the case of a sailing yacht, producing a design whose impact - due to stylistic characterisation and formal cleanness of the object - may often hark back to the images, forms and lines proper to sailing vessels. The next frontier of large yacht design will probably be in the direction of overcoming and rationalising these forms of intermingling which generate stylistic hybrids. An attempt at codifying stylistic elements capable of restoring to great sailing yachts a more unitary image between hull and superstructure, and to motoryachts that just right union of form and function which would make certain beautiful provocations more achievable.